A large number of movie and literature lovers arrived at the German embassy last week to watch the film The Reader and talk with Bernhard Schlink, author of the book of the same name which was adapted into the movie. 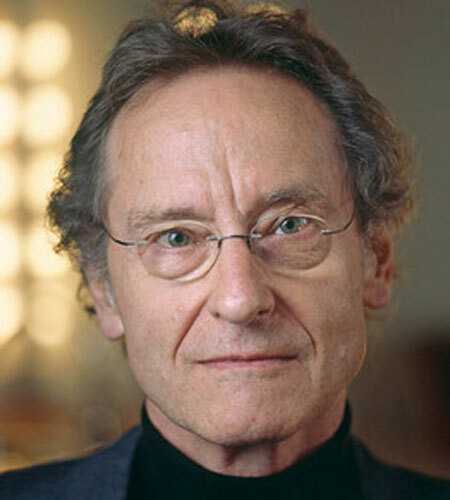 Published in 1995, Bernhard Schlink's semi-autobiographical novel created a stir in German literature when he talked about a sensitive theme: the crimes of the Nazis during the World War II. It was then translated into 38 different languages. The film being made in 2008 brought Kate Winslet the Academy Award for Best Actress. He shared about the film with the audiences. Are you happy with the film? I watched the film about seven times, and I found it a good film. When he began to make the film, director Stephen Daldry spent a lot of time discussing it with me. He showed me different versions of the film's scenario. Since the beginning, I believe that literature work and movies are two independent works. The director can add his imagination when making film. And those who read the novel know that they cannot hope that the film will copy the novel. My novel focuses on the male hero in the film named Michael Berg. In the film, with the outstanding acting of Kate Winslet, the film focuses more on the female hero Hanna Schmitz. The end of the film is different from the end in my novel. But I can not deny that in the film there are some scenes that still deeply touched me when I watch them again. Before it was recognised as a great book, your book was quite controversial. What was the controversy about? Most criticism turned around my character Hanna Schmitz in the book. As you know, Hanna is a prison keeper. She is involved in the massacre of 300 Jewish prisoners during the WWII. Some criticised that I built the character Hanna (who worked for Nazis) with a kind face. She has a personality of a normal woman. They think that war criminals should look like monsters and cannot have such a kind face like this. But I don't agree with this point of view. In this life, it is not easy to distinguish between white and black. No one can imagine that a good neighbour, a good father of today had committed any crime in the past. But those critics didn't disturb me. The only critic that I care is my wife. Many think that Kate Winslet was not suitable for the role of Hanna. She is more beautiful than the Hanna that you described in the novel? Do you think so? American film director Stephen Daldry convinced Kate Winslet to play this role and I think that she played it magnificently. I appreciate Kate not because of her beauty but because of her talent in acting. She could express different emotions in her face: coldness, naivete openness, nervousness. She could express different contradictions in the film with her role. It's what made me admire her acting. She made the film a success. Some say that Michael Berg's life is quite similar to your life. Have you lived the same stories as Michael? The plot of the novel was imprinted into my mind over a long time. I am among the second generation who grew up after the war and know that the generation of my father may have committed crimes in the war. And many ask if the male hero in the film Michael is me? I can answer that I'm 75 per cent similar to him. Your book raised debate among critics during many years. Which message do you really want to send to your readers? I want to tell German people to forget the past, to forgive. The Reader is not simply a love story between a 15 year-old young man and a woman who is 21 years older than him. It is more a story about the post-war that keeps haunting many German people. After WWII , the second generation like me do not always find it easy to forgive the crimes of the previous generation.